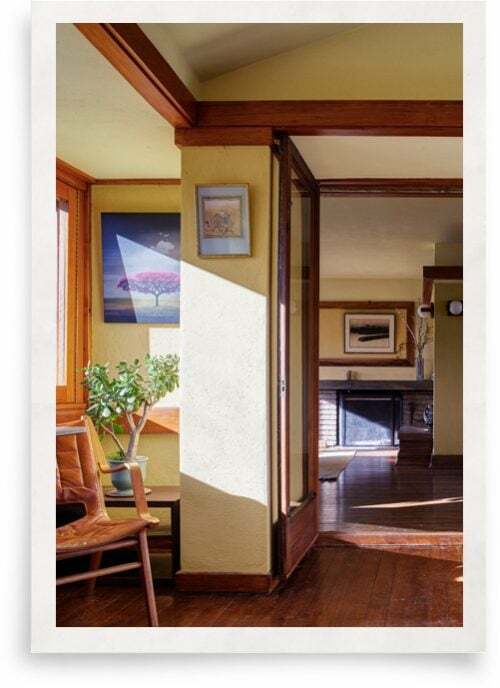 Frank Lloyd Wright loved windows. Probably no one understands this better than architect John Eifler. 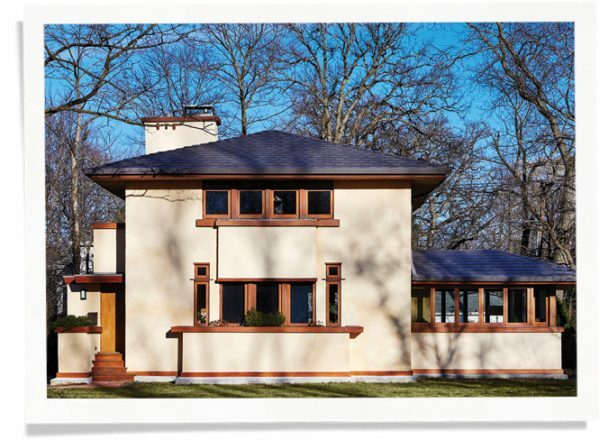 He has spent decades restoring Frank Lloyd Wright homes for clients. 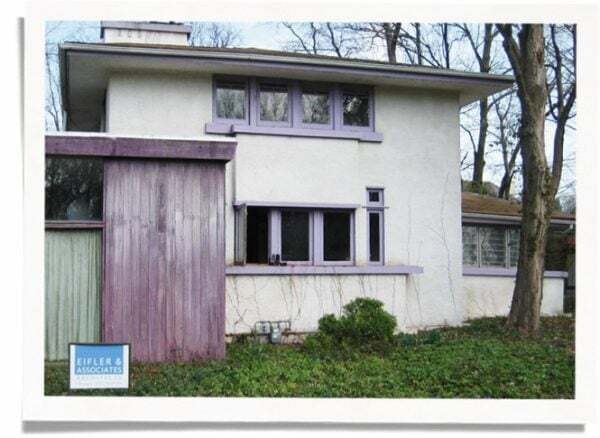 When he bought one for himself: the Ross House in Glencoe, Illinois, he knew he would be taking on his own major restoration project. One problem he would have to solve would be window insulation for this older home. The Ross House is located in a small 1915 subdivision of six homes planned by Wright’s attorney, Sherman Booth Jr. But most people knew it simply as “The Purple House” when Eifler bought it in 2011. It had heavy lilac trim. And a number of problems. The house had stood vacant for three years. It had no heat, no running water. 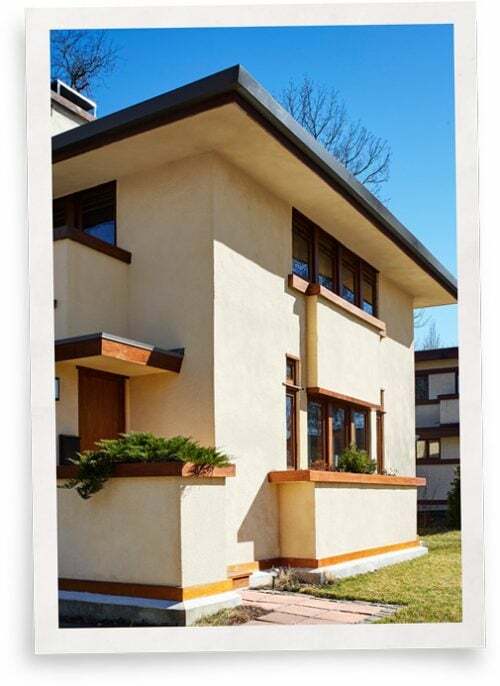 The exterior was covered in plastic stucco that didn’t let the house breathe. And there was a clear need to improve the window insulation. But the painstaking restoration was worth it. A final detail involved making the classic Wright patterned, single-pane leaded glass windows on the second floor more energy efficient. Not wanting to cover them up with exterior storms, he bought 15 Indow window inserts and likes how they have insulated the windows for his home. – John Eifler, Architect, Chicago, Illinois. 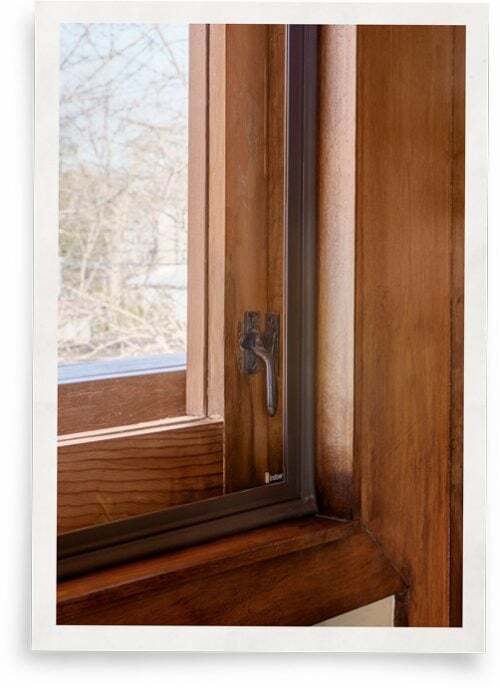 Edged in our patented Compression Tubing, the inserts press into the window frames without a damaging track or magnetic system. And that mattered because Eifler is particular about windows. 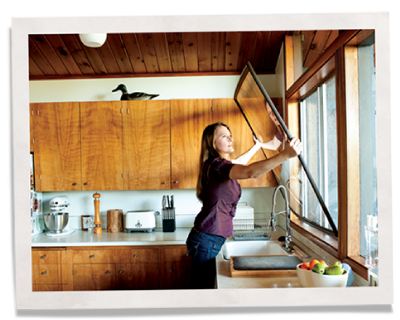 He and his significant other, Bonnie Phoenix, reconditioned all the ones in the Ross House themselves, taking the hinges off, laying them on a workbench, removing the glass and stripping the lead paint with a heat gun. Then he sanded and stained them.